Ray Charles hit on a winning formula early on in his career and stuck to this for the rest of his playing days. 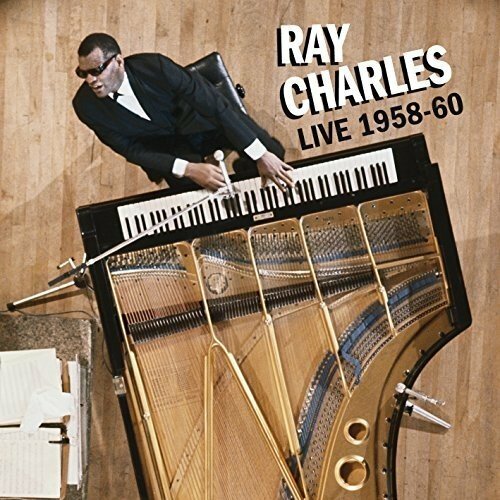 On his 1958 appearance at the Newport Jazz Festival Ray Charles elected to open with four instrumental numbers which was good set planning. The first number is a Milt Jackson original “The Spirit Feel” which is a swinging outing from a whole array of soloists which add to the excitement. The second number written by drummer Max Roach “Blues Waltz” is a more lightly swinging number with some fine drumming by Richard Goldberg. The is a change of location for the final six tracks on CD One The Herndon Stadium, Atlanta where the recorded sound quality is slightly less bright but still good. The concert opens again with “The Spirit Feel” but on this occasion there is a lively trumpet chase between the two trumpet players. On CD Two the first three tracks are recorded at the 1960 Newport Festival and opens with a nice bouncy version of Babs Gonzales’ composition “The James Moody Story” which as an inbuilt swing with a lively baritone solo by Leroy ‘Hog’ Cooper. The following number is Neal Hefti’s “Lil’ Darling” which owes something to the Count Basie version but there is enough difference to make it interesting. The Ray Charles’ vocals at this concert are a shade better with the singer sounding more involved and the band sounds more relaxed. Charles sounds particularly good on “Let The Good Times Roll” and “Don’t Let The Sun Catch You Crying”. The balance of the tracks are studio versions of some of the same songs and don’t have the same impact as the live versions. This release has everything you need to know about Ray Charles in a live situation and is a particularly good collection.